A real estate agent is a person with a state license allowing them to represent a buyer, seller, landlord, or tenant in a real estate transaction, in exchange for commission. A real estate broker has all of the same powers as a real estate agent, but a broker can operate their own office and have a team of agents working under them. 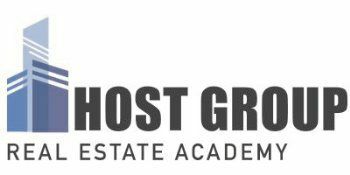 Anyone interested in becoming a licensed real estate broker needs to take this class, then pass the state exam. This class completes the 40 hour pre-licensing requirement set by the Commonwealth of Massachusetts. The Real Estate Broker License allows one to establish and run their own real estate practice for residential, commercial, industrial, or agricultural real estate sales and rentals. Please note: state law requires broker candidates to have been actively licensed as a real estate salesperson and have been associated with a broker for at least three years. What topics will be covered in this class? A refresher on the basic real estate practices covered in the Real Estate Salesperson Pre-Licensing course, as well as property management, real estate closings, investment analysis, and running your own brokerage practice. To become licensed as a salesperson or broker in Massachusetts you must complete the requisite education, be at least 18 years of age, complete the appropriate licensing application, and pass the relevant examination. You must be a licensed salesperson for at least three years before applying to become a broker. The first step to become licensed as a salesperson is to complete forty hours of education at any one of the Board-approved real estate schools (Host Group is an approved MA Real Estate School - Code 1230). Once your education is complete the school will provide you with a "Candidate Handbook" which will contain verification of your completed education, as well as instructions to make an appointment to take the salesperson examination with the Board's test administrator, PSI Exam (a fee of $85 must be paid directly to PSI). All information needed to take the examination will be contained in the Candidate Handbook. Upon passing the examination, a licensing fee of $103-$150 must be paid to the Commonwealth of Massachusetts, then you will immediately be issued a 2-year salesperson license. WHEN VIEWING OUR CLASS SCHEDULE TO THE RIGHT, IF THERE IS NOT AN ORANGE "REGISTER NOW" BUTTON NEXT TO THE DATE, THAT CLASS IS SOLD OUT. EMAIL US IF YOU'D LIKE TO BE ADDED TO THE WAIT LIST FOR A SOLD-OUT CLASS, AS SEATS OFTEN OPEN UP. ALL OF OUR REAL ESTATE SALESPERSON CLASSES ARE HELD IN OUR MAIN OFFICE IN BOSTON (236 HUNTINGTON AVENUE, IN BOSTON'S BACK BAY NEIGHBORHOOD), UNLESS OTHERWISE NOTED.